Is A1 Steaksauce Vegan? – Is It Vegan? A1 Steaksauce is a condiment produced by the Kraft Brand (please see this link for more Kraft Brand information). The steak sauce, despite being called steak sauce, is vegan. The ingredients for the original recipe are shown below. Further, upon reviewing the ingredients for the rest of the brand, they all appear vegan friendly. No mention of the typical non-vegan ingredients for condiments (honey, anchovies, …). 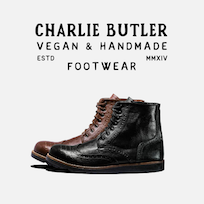 ← Are Products Made in Shared Factories Vegan? Awesome! I’m working on a recipe and wanted to make sure it’s vegan. Is not distilled vinegar clarified with gelatin? Sometimes caramel coloring contains lactose, which is of course a milk product. Not always is it made from lactose, but for someone like myself, with an “allergy” to all dairy, I have to avoid it. Everything I’ve read says lactose is rarely ever used. Have you found differently in reality? No, I haven’t personally. I read about it online. I can’t take the chance since any dairy derivative makes me ill. Basically I go by the notion that most PR people have no idea what is in their products so better safe than sorry. I was down for 7 months with my casein problem before it was figured out. Even the slightest notion of possibly being ill like that again makes me just say no! LOL. I have a huge list of “what to look for” words that all mean dairy. Of course, being on a whole foods, plant based diet makes it really easy. Any “processed” foods I consume usually have no more than 4 ingredients, so that makes it really easy! AWSOME! I use A-1 sauce to add complexity to my Black Bean soup – Everyone loves it, but I want to be certain that even my Vegan Son can enjoy it without a thought.